Mary Ann Kashef has been studying the Martial Arts for over 17 years and is a certified Tai Chi and Qigong instructor. She has taught all over the metropolitan Detroit area and has been featured on the Channel 7 News, Oakland Press, The Detroit Free Press, and was the featured guest on a local Birmingham broadcast of Graceful Aging with Greg Bator. She teaches Tai Chi Therapy and medical Qigong at Beaumont Hospital for Cardiac, Pulmonary, Women's Wellness, and Optimal Aging clients. Her patience and humor make her classes very enjoyable and her explanations are described as insightful. Her students appreciate her step-by-step instruction, which makes it easy for even beginners to learn the forms. She has successfully taught a student who is blind, as well as adolescents with severe disabilities. She began to study the Martial Arts to help manage the stress of caring for her oldest son, who was diagnosed with severe Autism. She found that the practice calmed her, relieved joint and muscle pain and helped her think more clearly. Her philosophy is that Tai Chi and Qigong are both a practice of balancing your own energy to heal and remaining centered through any trials or negativity that may come your way. 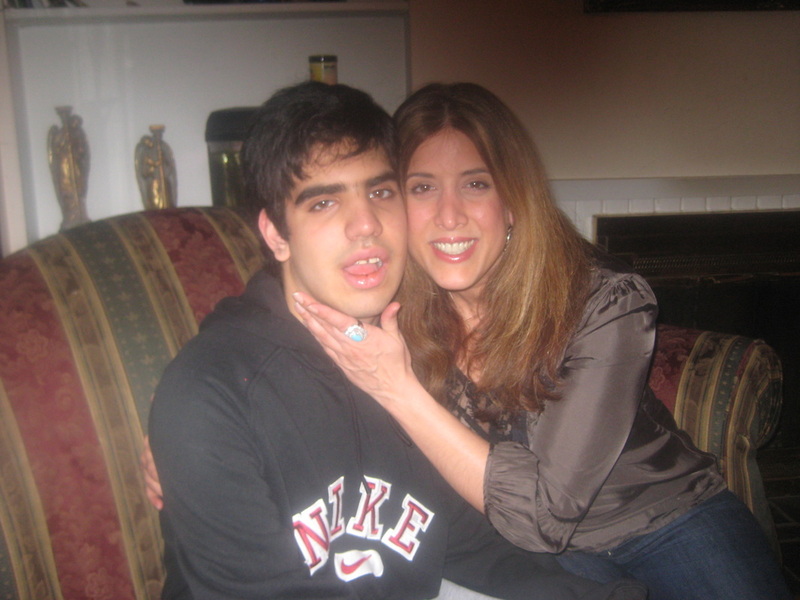 Mary Ann with her son Ari. 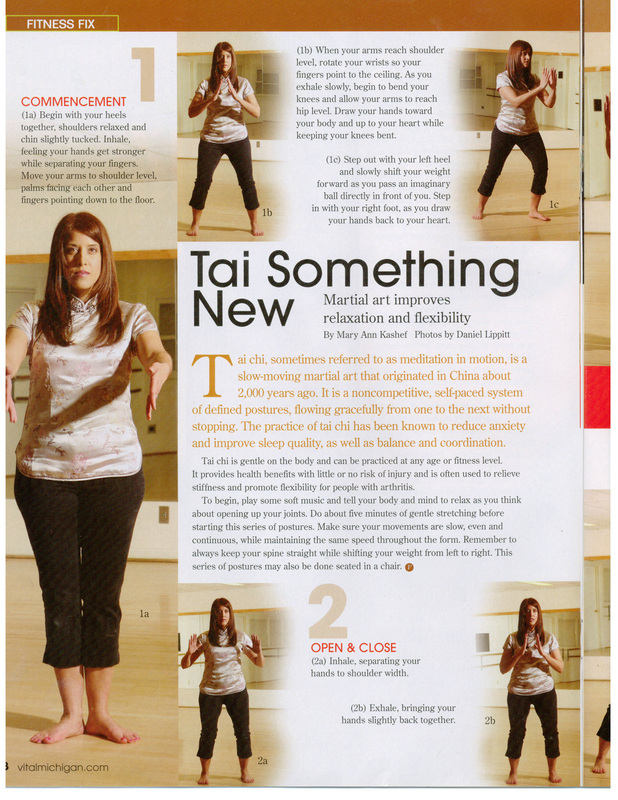 Tai Chi Detroit offers group classes and private sessions throughout Metropolitan Detroit. Started in 2001 with a local Tai Chi class for Seniors, Tai Chi Detroit has expanded to include people of all ages, customizing each class to the needs of the students. Classes can be targeted to help with medical conditions (diabetes, arthritis, COPD, Parkinsons, etc), pain relief, or general health. Classes can be designed for corporations to alleviate stress in the workplace. A unique offering is in classes specifically for adolescents with special needs and their families. Scientific research has shown that practicing Tai Chi reduces pain and stiffness and improves concentration, memory, balance, muscle strength and stamina. Even beginning students of Tai Chi report increased levels of relaxation, general wellbeing, and improved sleep. We practice healing through Tai Chi Chuan, Tai Chi for Seniors and Qigong. Come and join us for an hour of peace and tranquility while learning this beautiful ancient art form. Please click classes for schedule. to view Mary Ann in action as a featured speaker on Graceful Aging with Greg Bator.